There’s just some magic in truth and honesty and openness. When it comes to communication, COO of 1xRun Detroit, Sarah Aldridge gives us a #RealTalk. Hear what she has to say about the effective power of transparency, and how treating people like people goes a long way. Picking up what she’s putting down? Want to know the secret to being a good boss? 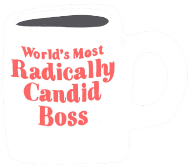 (We’re talking “World’s Best Boss” mug status.) 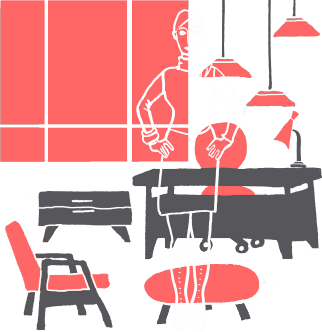 Read about “Radical Candor” and the woman behind the idea, Kim Scott, who says it’s all about the combination of caring about an employee personally (not just professionally), and challenging them directly. Oh, and fostering bullsh*t-free zones. Holla. Before you launch your radically candid crusade, it's a good idea to brush up on your office etiquette. Candor is one thing, but being transparent is a whole other ball game. (Just ask Casper the friendly ghost.) Take a look at how showing your humanity—and always being genuine—makes you a more effective leader.